Check them out if you have a few moments, the kids have really put a lot of thought and effort into these videos. The Shelton SADD (Students Against Destructive Decisions) club attended the NSSP (National Student Safety Program) conference in Portland, Oregon on July 15th thru 18th and was named the top club in the nation at the awards banquet on July 17th at the Red Lion Hotel by the River. Nine students and four adults attended this 60th annual youth conference: Alec Dodge, Madilyn Bariekman, Rachel Darch, Viola Lanman, Brooklyn Hansen, Josh Bruland, Melanie Sanders, Kristyn Bailey, Alex Gearhart, Katie Albaugh (chaperone), Cyndee Bruland (chaperone), Patty Darch (Assistant Advisor) and Gerald Apple (Advisor). The nine students put on a one hour workshop on the topic of the “Every 15 Minutes” program. This workshop received excellent evaluations. The facilitator of this workshop was Alec Dodge who was the SADD club president for the 2015-2016 school year. Some of the other workshop topics presented by students from Oklahoma, North Carolina, and Hawaii were drowsy driving, the truth about vaping, dating violence, and the dangers of drugged driving. The Shelton SADD club also entered two teams in the U-Haul driving contest and did well in the competition. 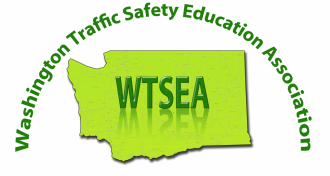 The NSSP program exists for youth to develop leadership, positive relationships, and programs that help reduce death and injury on our nation’s highways through traffic safety education. Besides being named the “Top Club in the Nation” the students placed second in the community service project of the year with their “Little Stars” project where high school and junior high school students go into the first grade classes in Mason county and talk about topics such as pedestrian and bicycle safety and the importance of sitting in a booster seat up to the age of 8 and sitting in the back seat until the age of 13. Katie Albaugh was named the “College Student of the Year.” She will be a sophomore next year at the University of Washington and is majoring in psychology. During her senior year at Shelton High School she was the president of the Shelton SADD club. Patty Darch was named the “National Advisor of the Year.” She is the Vice-President of the Shelton SADD Booster Club. Patty was nominated by the students and Mr. Apple for her great assistance in our fifteen major projects that we completed during the 2015-2016 school year. Next year the SADD club students will be attending the NSSP conference in Sacramento, California the third week in July. Our Shelton SADD club has been in existence for thirty one years. Provide a cleaner, healthier and safer schools and community.